Currently, the host of Winter Olympics in Vancouver city, Canada is the world’s second largest country by total area. Canada’s common border with the United States to the south and northwest is the longest in the world. Canada is governed as a parliamentary democracy and a constitutional monarchy with Queen Elizabeth II as its head of state. Canada is a bilingual nation with both English and French as official languages at the federal level. Canada has a diversified economy reliant upon its abundant natural resources and upon trade, particularly with the United States. The name “Canada” comes from a St. Lawrence Iroquoian word, kanata, meaning “village” or settlement”. Montreal is the second-largest city in Canada and the third largest French speaking city in the world. It was originally called Ville-Marie, or “City of Mary”. The city takes its present name from Mont-Royal, the triple-peaked hill located in the heart of the city, whose name was also initially given to the island on which the city is located or Mont Réal as it was spelled in Middle French. It is also called the Paris of North America. The Old Town (Vieux Montréal) area with the Montreal City Hall, Bonsecours Market and the Notre-Dame-de-Bon-Secours Chapel are reminiscent of the old heritage of the city dating back to the French colonial period. While, the Downtown area with shopping malls, hotels, offices, museums and public transport systems are a showcase of the modern times. 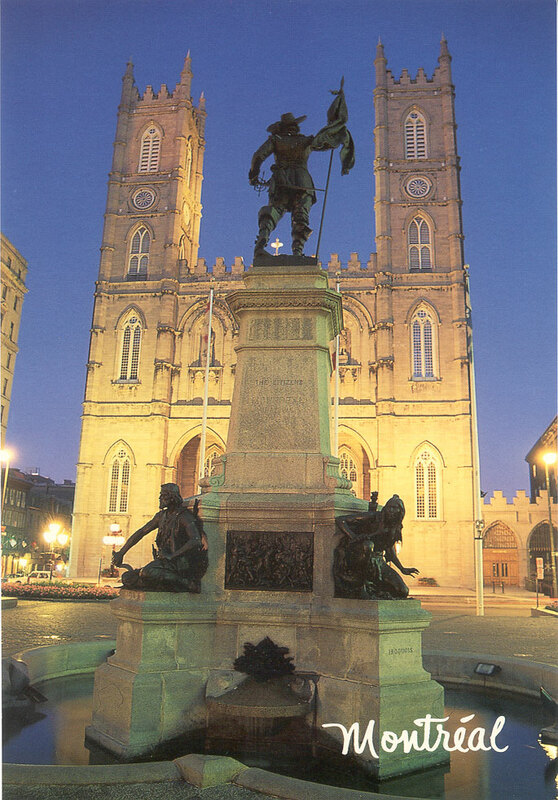 Montreal has a great night life; the Latin Quarter is famous for the bars and restaurants. The off season for cheap flights to Montreal is December to May and September to November. The pleasant weather in May, September to November make it the nicest time to visit.